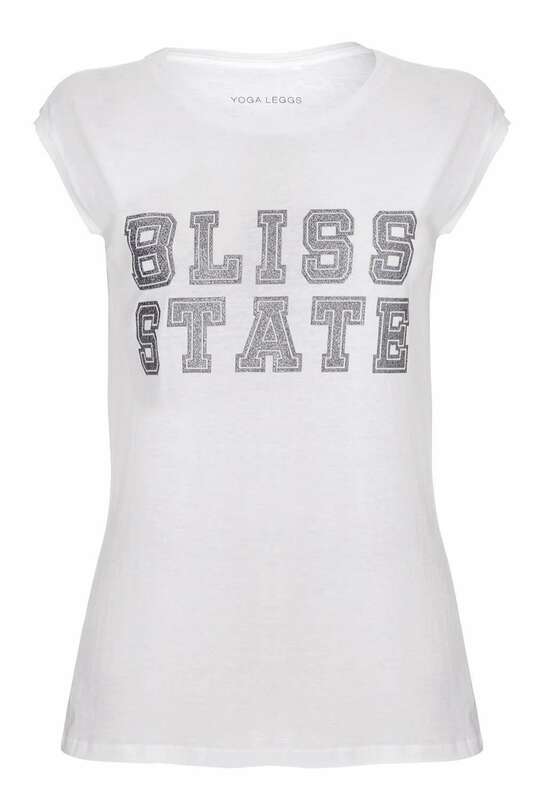 Yogaleggs limited edition Bliss State slogan sleeveless tank top. Fun and fashionable and a great match with our yogaleggs yoga pants or perfect teamed with jeans for off-duty style. Yogaleggs tank tops are super soft and very comfortable, made of organic cotton. Like our yogaleggs, these tank tops are perfect for keeping your workout wardrobe stylish and great for yoga, pilates, running, barre, spinning, dance and gym.